These country classic song lyrics are the property of the respective artist, authors and labels, they are intended solely for educational purposes and private study only. The chords provided are my interpretation and their accuracy is not guaranteed. 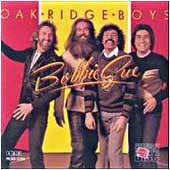 The Oak Ridge Boys lyrics and chords are intended for your personal use only. The Oak Ridge Quartet a gospel oriented group was founded in 1945 becoming quite popular during the 1950's. In the early 1960's the group changed their name to the Oak Ridge Boys and remained a gospel group until the mid 1970's when they changed their image and concentrated more on pop and country music. They are best known for the huge hit "Elvira" which became a household song. The quartet's current members who continue to give us such great music are lead singer Duane Allen, tenor Joe Bonsall, baritone William Lee Golden and bass Richard Sterban. Whether it be gospel, country or pop these guys can do it all and so very well.